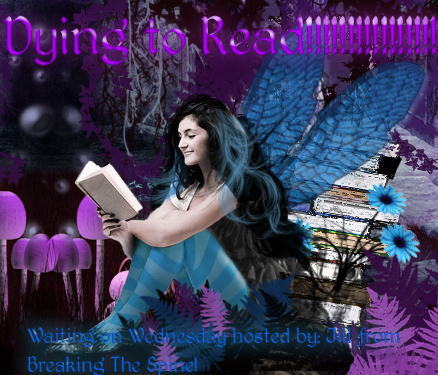 This week the book I’m dying to read is The Uprising by Lisa M. Stasse! I loved Lisa’s first book in this series and I just can’t wait to dive back into this world! In this dystopian sequel to The Forsaken, Alenna has survived the brutality of life on the wheel—and now she’s going back for more. The covers for this author's books are amazing! Totally creepy but awesome! I own book one but hadn't read it yet but I definitely will be picking up this sequel. o00o I hadn't seen this cover yet! So awesome. Pity the Australian publisher decided to go with a Katniss-inspired cover for our version of Forsaken. I can't wait for this either though, whatever cover I get it in! Love the covers and dystopians! I have been wanting to read the first book. It sounded unique! I still have to read The Forsaken. I hope to get to it before this one comes out! I still need to read The Forsaken =[ Hopefully I will soon! 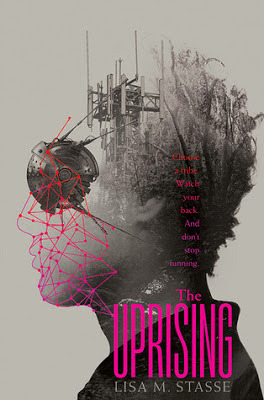 Hope you enjoy The Uprising when you read it! I absolutely love the covers for this series and I'm behind so I need to get to reading The Forsaken, but great pick! I still haven't read the first book, but I'm planning to this year :) The covers are phenomenal! I love that cover!! It's awesome! I haven't read the first book, but it sounds really good and I have been wanting to. Yes, I love Liam so ridiculously much. My ARC of this one is just staring me in the face and I really don't think I'll be able to resist for much longer. I am really looking forward to this one as well! I read the first one a few months ago and I instantly fell in love with it. It's like everything that I love in dystopians!